Lionsgate are debuting a new preview clip from Mockingjay Part 1! Apparently we'll get to see Katniss return to District 12. 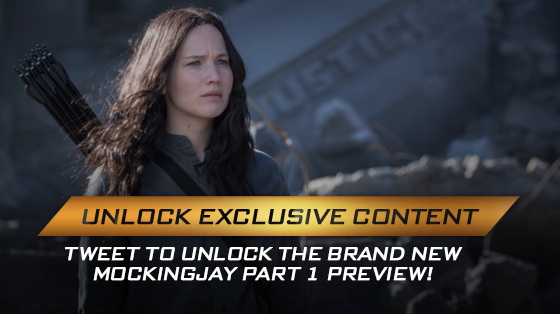 Tweet using the hashtag #UnlockMockingjay to unlock it.